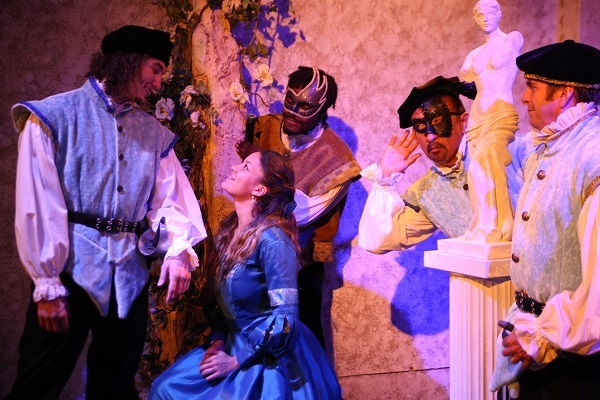 Long Beach Shakespeare Company has been celebrating the 400th anniversary of Shakespeare’s death in 2016 with a special series of events and performances they are calling “A Wake for Shakespeare.” The final production in this gala series is Much Ado About Nothing, the comedy that paved the way for screwball movies produced in the early years of Hollywood. Unlike the abusive encounters between Kate and Petruchio in The Taming of the Shrew, Much Ado About Nothing’s Beatrice and Benedick are equally matched in temperament, and their relationship crackles with undeniable electricity. Though they profess to hate each other, love will most certainly win in the end in LBSC’s production featuring 16th century costumes, singing, dancing, and a fair measure of laughs. Tickets may also be purchased at the box office on performance days one hour before showtime. 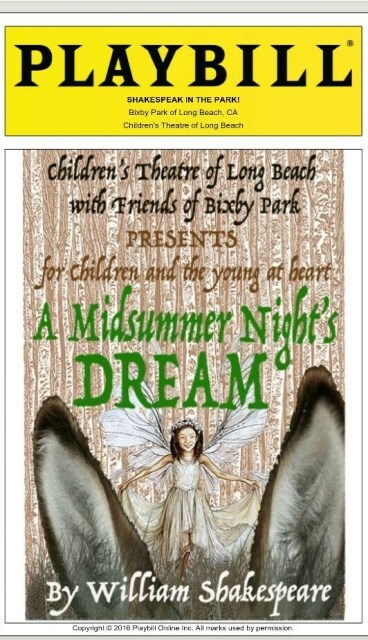 Children’s Theatre of Long Beach will present a 90-minute performance of Shakespeare’s A Midsummer Night’s Dream in Bixby Park at the Bandshell Stage, July 22-24. The family-friendly show is produced in partnership with Friends of Bixby Park and offers free admission and an audience participation pre-show. Bring your low-back chars, blankets and a picnic dinner to enjoy in the park and get ready for a fun, physical production full of laughs. It’s a great way to introduce the whole family to Shakespeare! As is typical of LBSC’s productions, you’ll also find beautiful costumes, original music, and dancing. Seating is limited and reservations are recommended. Show schedule: Fridays and Saturday at 8pm, Sundays at 2pm. (No performance Friday, June 3) Tickets are $22.50 general, $12.50 students. 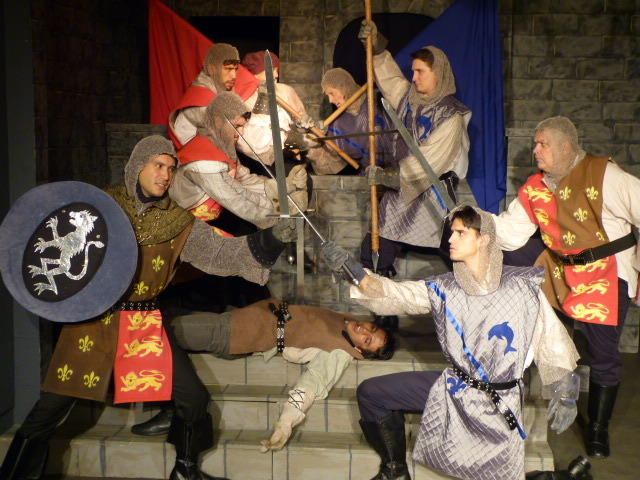 Long Beach Shakespeare Company continues its season of spectcle with its latest production, Henry V. Performances run through Sept 19, Fridays and Saturdays at 8pm, Sundays at 2pm. Famous quotes abound throughout the action, such as, “The game’s afoot,” “Once more unto the breach, dear friends, once more,” and “A little touch of Harry in the night,” among many others, while the guilt laden, newly pious, yet ambitious King grapples with the sins of his father and his own desire to show the world his worth. The French outnumber the English, 5 to 1, yet Henry leads his men into battle. Come witness the courage and the carnage. 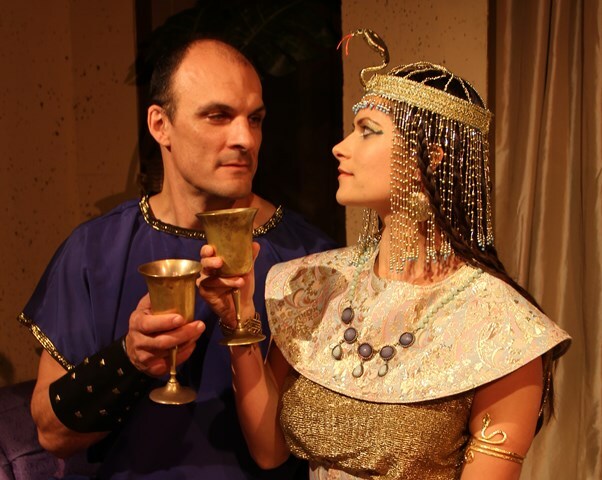 Long Beach Shakespeare Company kicks off its Season of Spectacle with two of Shakespeare’s most famous lovers in Antony and Cleopatra beginning February 27. Mark Antony struggles with his passion for the world’s most desirable woman, his political power, and his honor as Cleopatra battles to keep her lover and Egypt. Featuring beautiful costumes, live music, exotic dancing, and pirates. February 27 – March 21, 2015 (Fridays and Saturdays at 8pm, Sundays at 2pm) at the Richard Goad Theatre. Tickets: (562) 997-1494 or www.lbshakespeare.org.